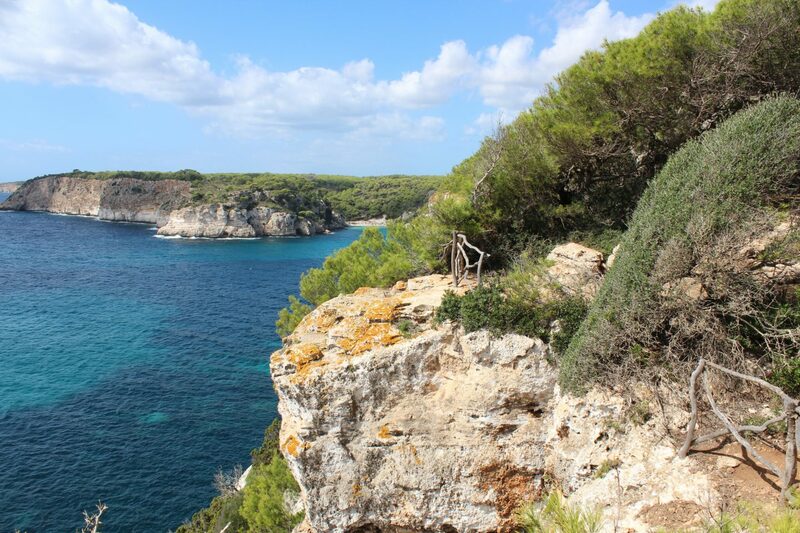 Menorca has been a protected UNESCO Biosphere Reserve from 1993. This means that it´s beaches are truly protected. 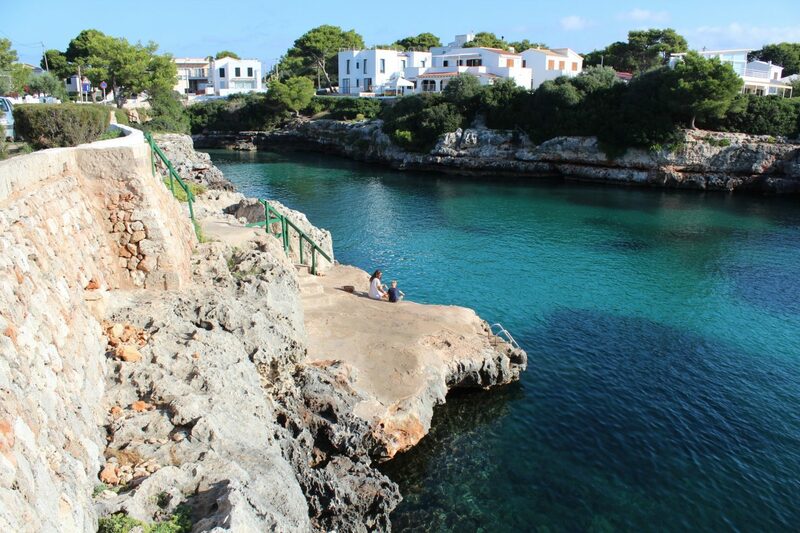 Menorca beaches have crystal clear turquoise waters, a total paradise for any traveller. 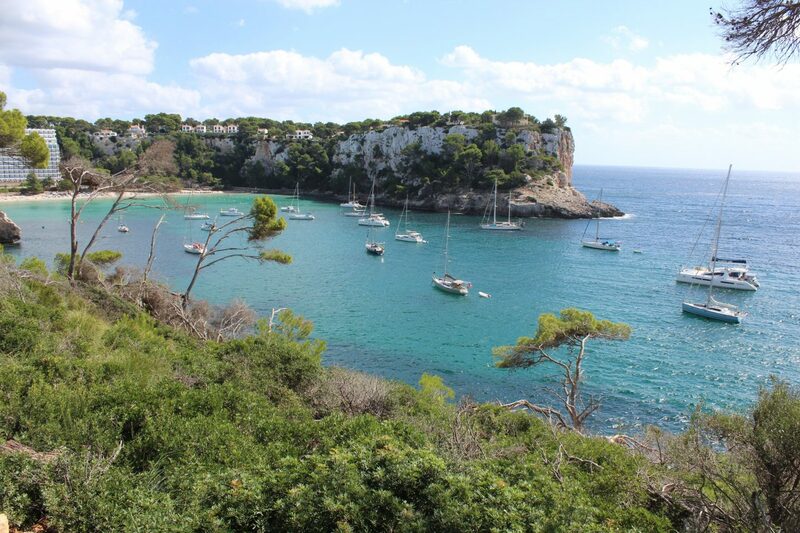 Menorca is 216 kilometres of coastline; 99 beaches, some of those still virgin. There are lots of options to set up a new tanning spot every day or several times a day as we did. . If you are a hiking or cycling lover, then this island is for you. As we went with both kids, we looked for an easier option to discover the island, we rented a car. It is true that a lot of the beaches can be get by car, but anyway the gems and virgin beaches have to be discovered with long walks. 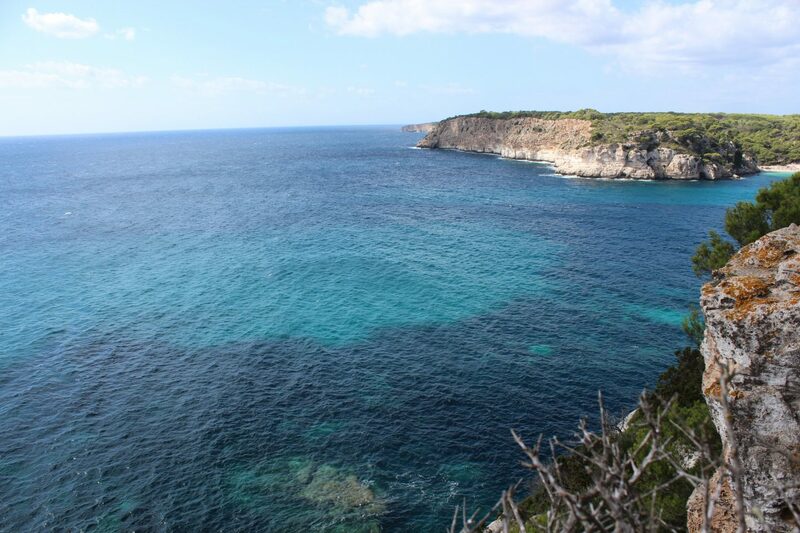 Those hidden or protected beaches are only accessible by foot or from the sea, which means walking a little after parking and also explains why so many boats and yachts can be found anchored nearby various coves. When I say virgin beaches, I mean that you will need to bring your own drinking water and picnic food.There are often not even any trash cans on these natural beaches, which means you’ll need to take your garbage away with you. 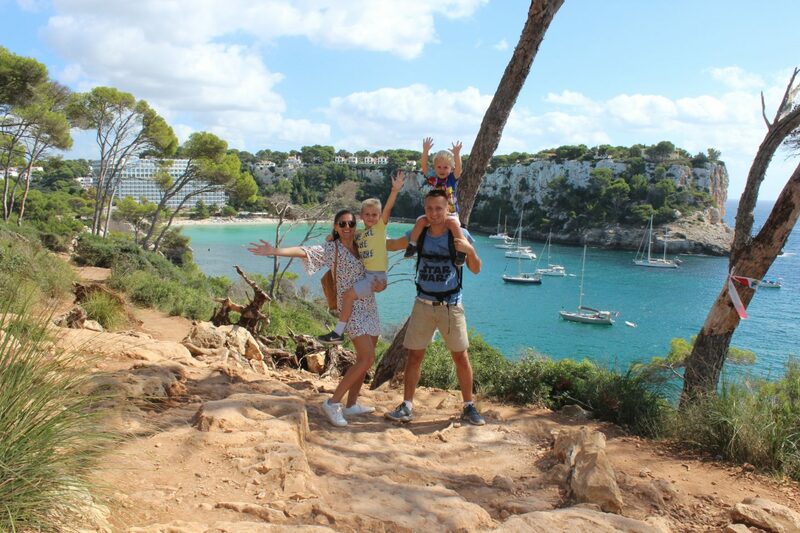 Menorca is a place for everyone, solo, couple or family travellers. But, today I will mention the ease to travel on this island with 2 kids. Marc who is 2 and Damian is 5 years old. 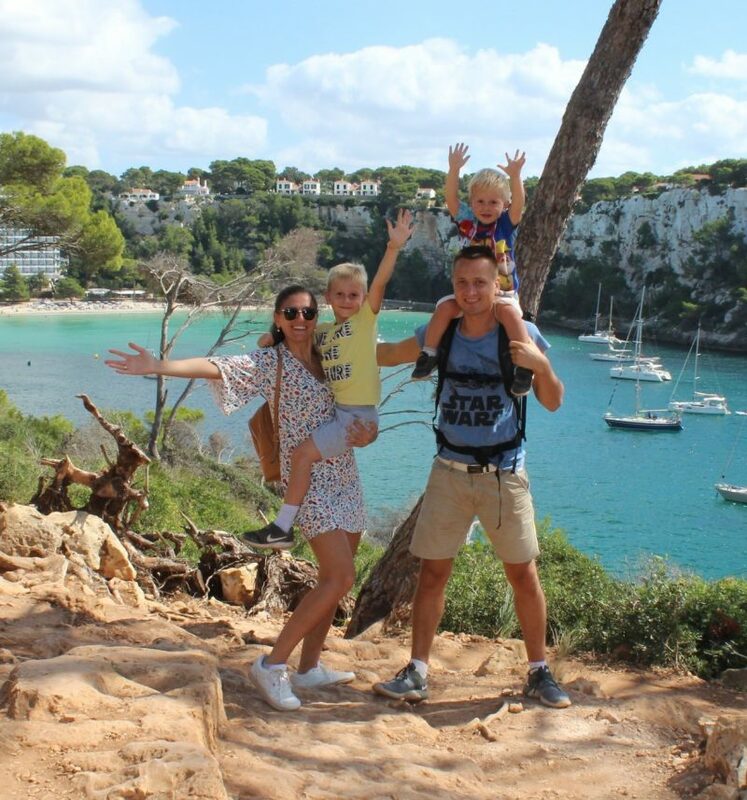 Menorca has many family friendly beaches with fine white sands, secluded coves surrounded by pines wooded trees, rugged volcanic rock and sparkling clear green blue waters. Mostly all of them are not so deep, so this made our stay even easier. Both our kids were walking and enjoying the water without our help. 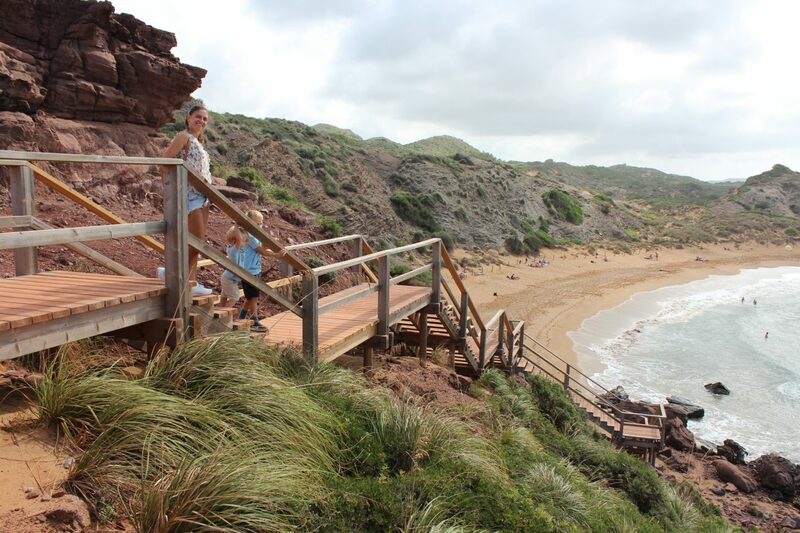 The beaches in the North of Menorca are quieter than the south but are equally as stunning with a more reddish sand. 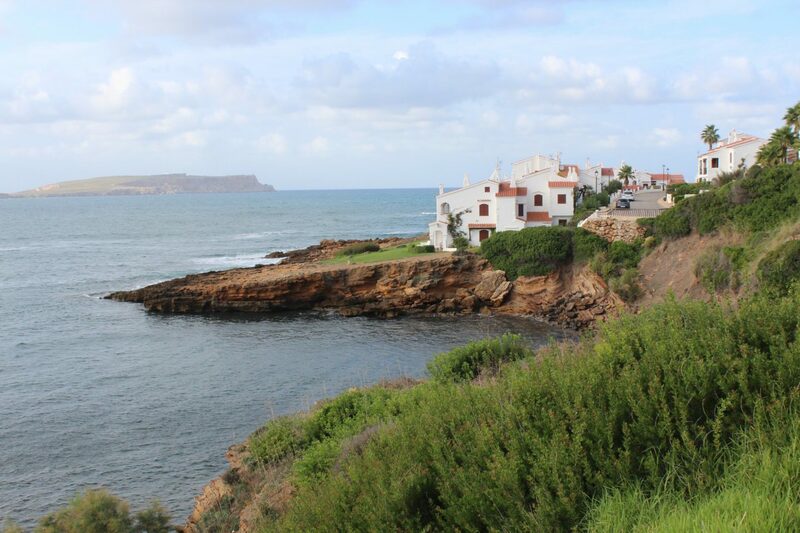 These are perfect destinations for lovers of sailing, windsurfing and other activities. 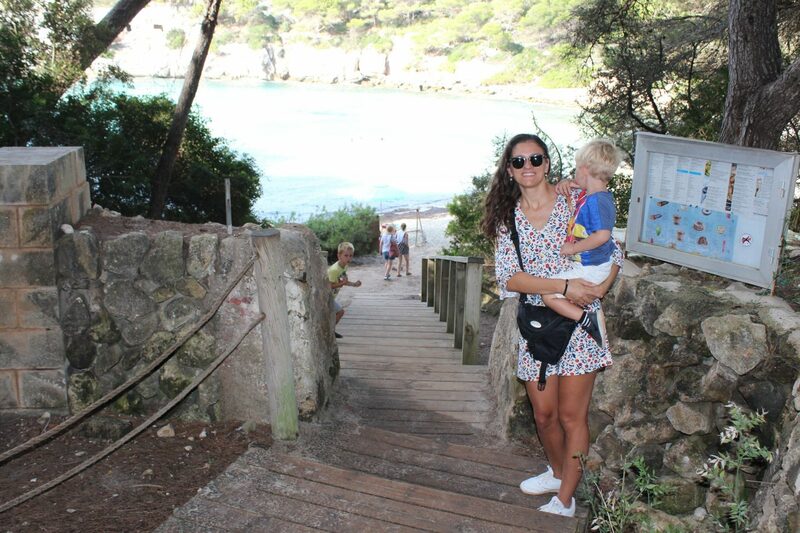 In Cala Cavalleria, both our kids needed help to stay in the water, as it was deeper than beaches at the South. 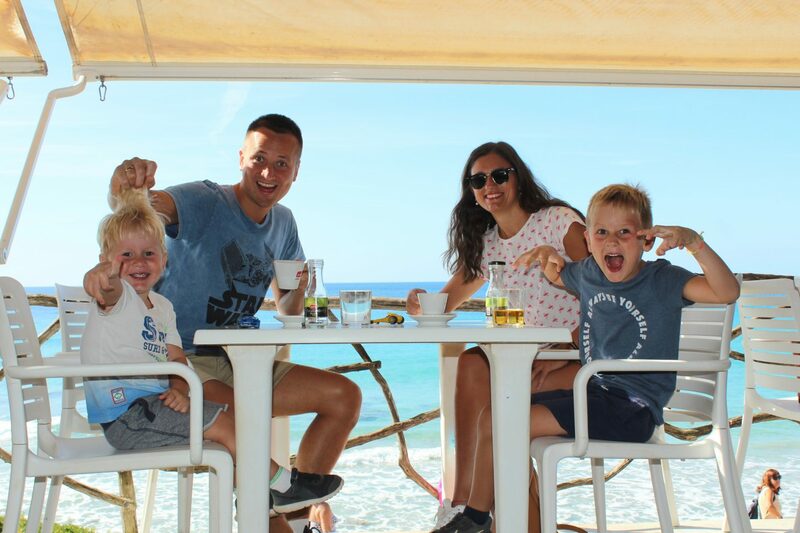 The beaches to the south are sheltered from the Tramuntana winds, which results in more family friendly beaches with calmer waters and fine white sand. The main Menorca resorts are also located on the South side of the island, so visiting numerous beaches on a holiday trip is easy. As I mentioned previously, the island is for hiking lovers as well. 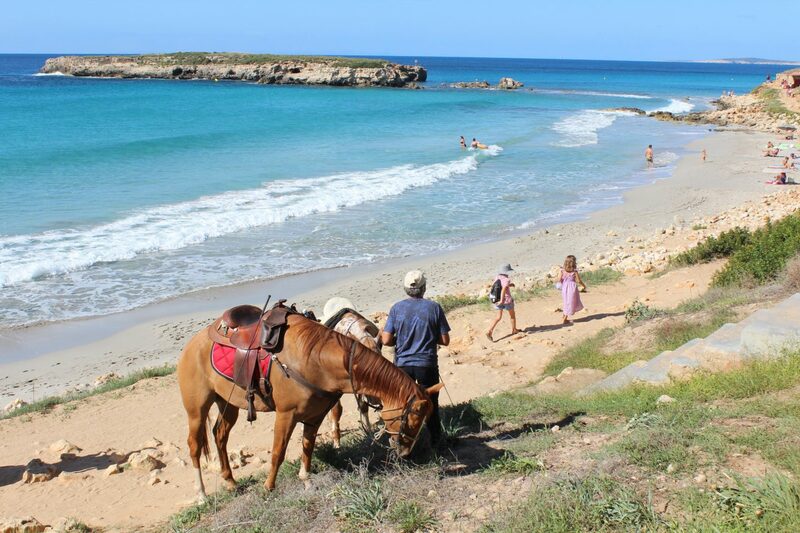 Specially for those travellers there are numerous walks in Menorca along the famous Cami de Cavalls, which will guide you along the changing coastline, and also allow access to some hidden coves and beaches. 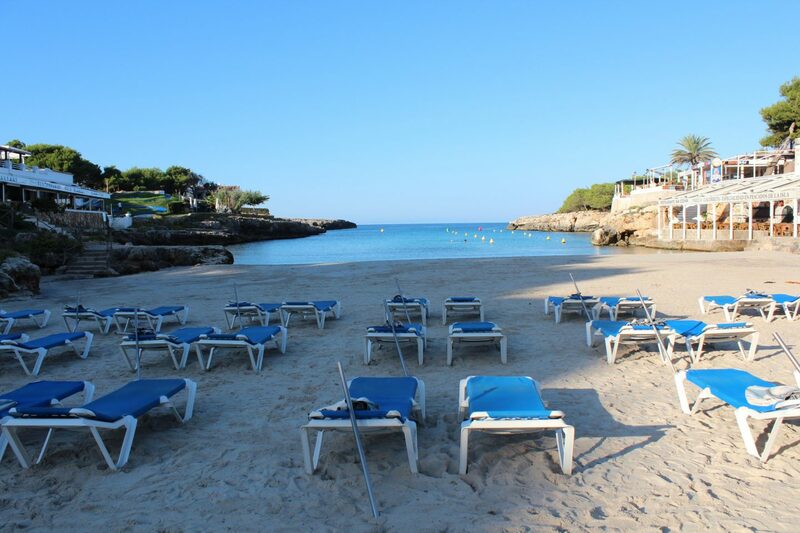 The beach Cala Galdana is spectacular and one of our favourites. We went there twice, and if we would have more time on the island we would go more. It was awarded the Blue Flag beach award in 2016 indicating its high environmental, quality and safety standards. The beach is large with white-sandy beach, backed by aromatic smelling pine tree and towards the south side surrounded by rugged cliffs. The beach is protected by several lifeguards and there a good range of beach activities available such as kayaking, paddle boats to rent. Daddy and Damian were snorkelling and enjoying big fishes of the beach. As you see it is a great place for families with plenty of space to play, and the waters are clear and shallow. 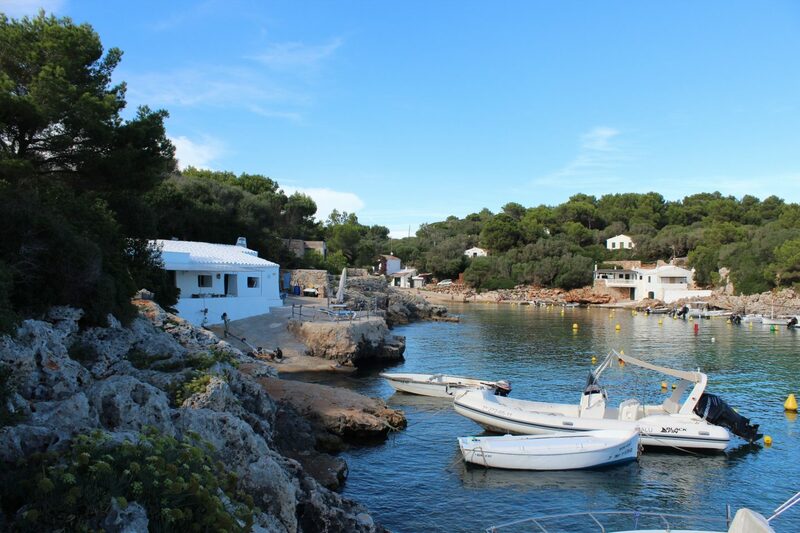 Cala Galdana also is perfect for the many scenic walks along the Cami de Cavalls or coastal paths which lead to secluded natural beaches Cala Mitjana to the east and Calas Macarella & Macareletta to the west of the resort, untouched by the growth in tourism. 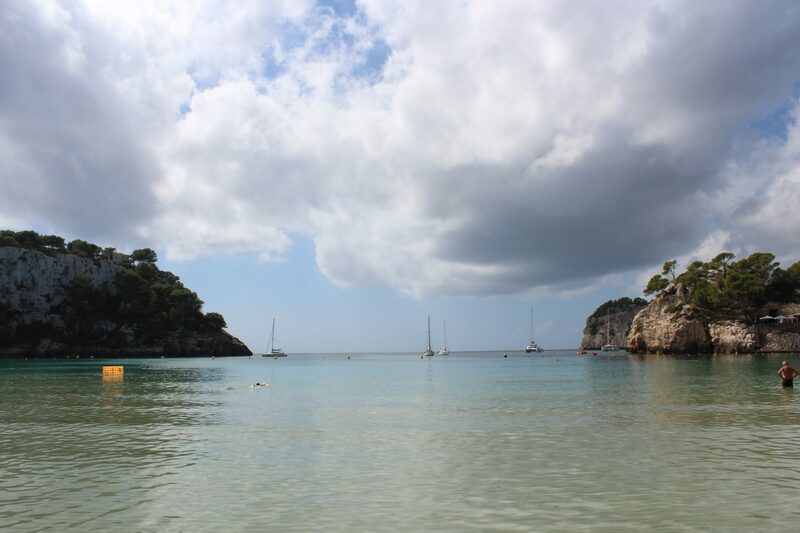 Cala Macarella is one of the island’s most famous beach, which also includes Cala Macarelleta. 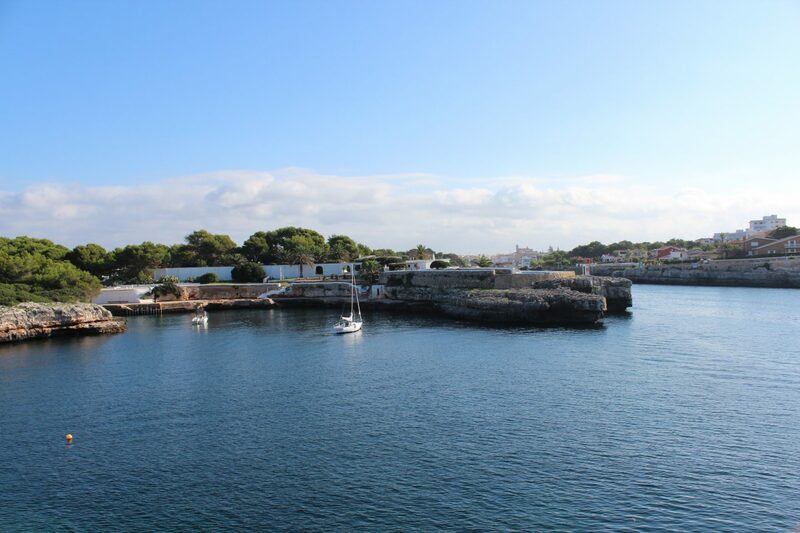 From this year, May-October of 2018, to get there you have to take a special bus from Ciutadella or Mahon, hiking or water-taxis. 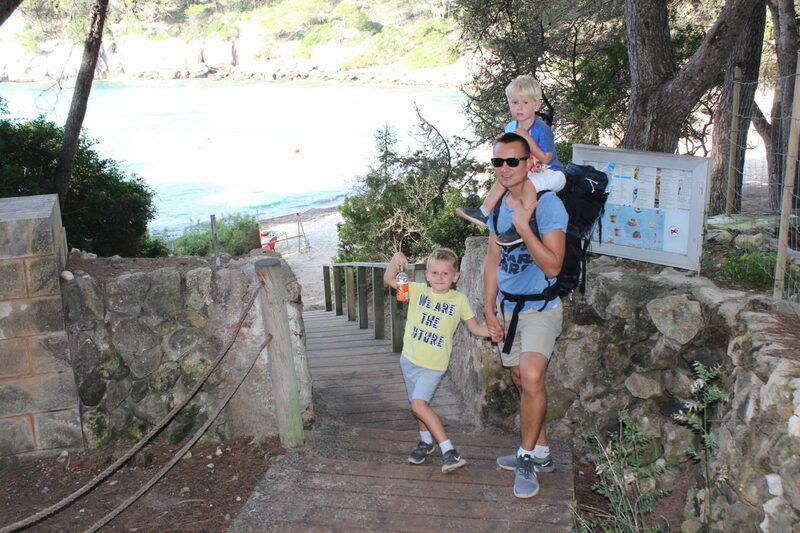 We got there hiking 2km from Cala Galdana by Cami de Cavalls. The beaches of Cala Macarella and Cala Macarelleta are connected, but we went only to Macarella Beach. Macarelleta we saw from above, while hiking. We went there a day after a windy day we had on the island. The beaches were not so clean, and Macarella didn´t impress us too much. We thought that it is overrated a little bit. We wanted to visit this beach coves from the first day of our stay, but at the end didn’t went as there we had to walk a lot, and we have already walked to Cala Macarella. 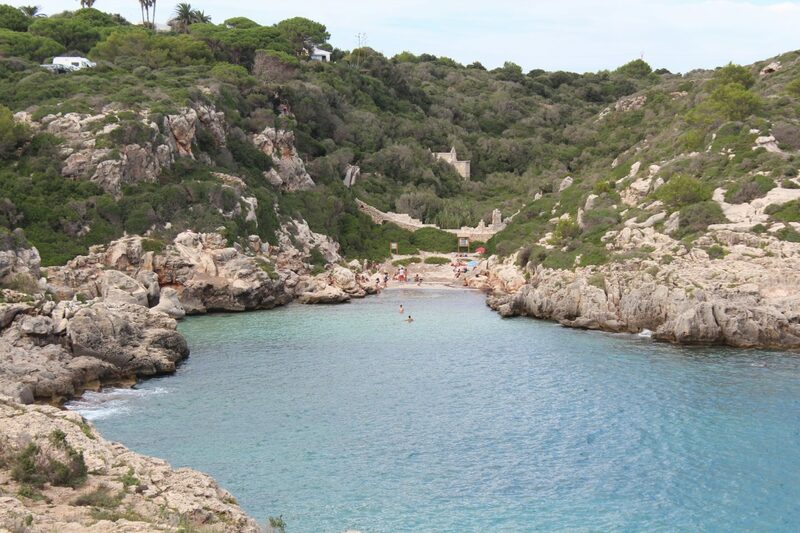 Just south of Ciutadella is Cala Blanca. Small picturesque resort beaches with all the facilities you need. Perfect place to go with kids. We had this beach 5 minutes walk from our apartments. White sand beach, and crystalline water, impressed our visit there a lot. To get to this beach, you need to do quite a bit of walking after parking. The path to the sea runs through a unique natural landscape, and the beaches are quiet and shielded. 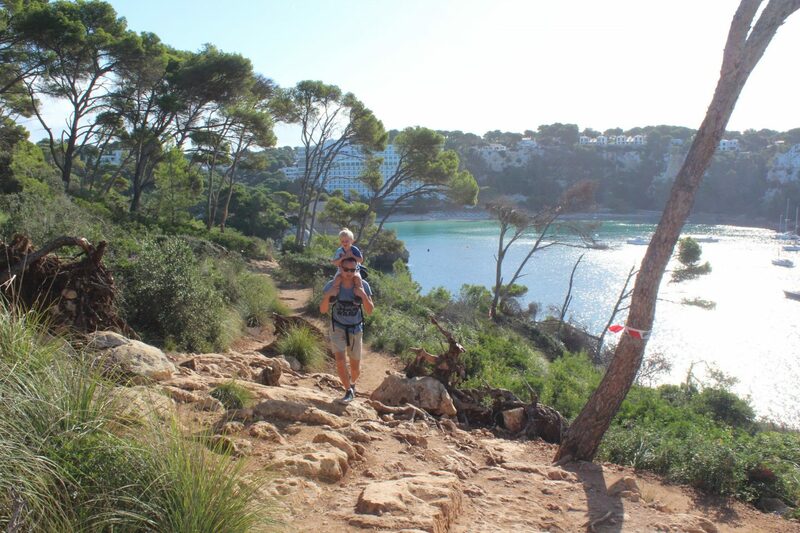 But, after visiting Cala Macarella hiking 2km, this path seemed to us really short. Playa de Cavalleria is the largest bay on the north of the island, and the reddish sands are backed by extensive dunes and rocky hills. It is accessed by a wooden staircases. 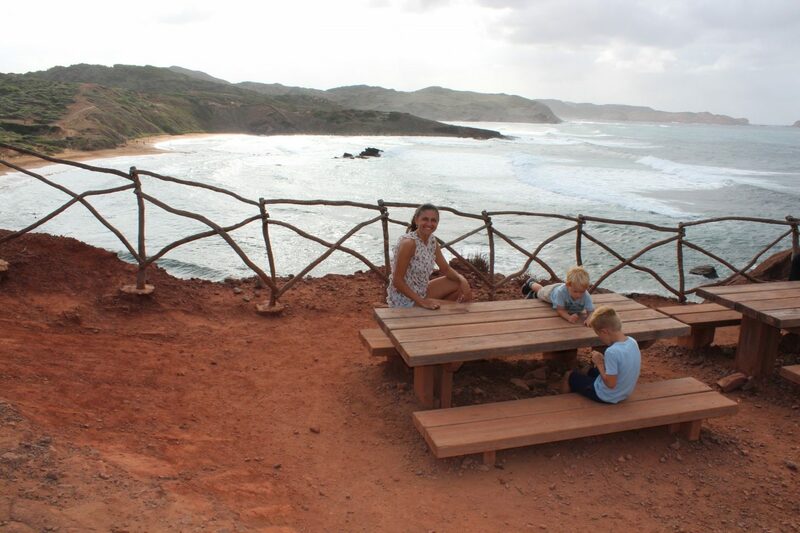 There are no facilities at Cavalleria, so bring you picnic and water with you. We stayed at this beach right after visiting one of the lighthouses of the north. In other case, I suppose this beach would stay undiscovered by us. We got there later in the evening, as we were recommended, to watch the sunset. And yes, we were running to take pictures of the beautiful sunset over this beach. The sea is very shallow for quite a distance, making it ideal for small children. The whole area is a National Park. The small village of Es Grau provides a few bars, restaurants and shops. We got there in the evening, and kids were sleeping in the car. We just stayed at the top and enjoyed the views from the car. This beach we discovered on our last day on the island. We stayed all the morning there. A long narrow strip of soft white sand, very rocky as well, backed by hills. There are lot of parking places right by the beach and very easy to access it. Needless to say, that it is just perfect for families with kids. 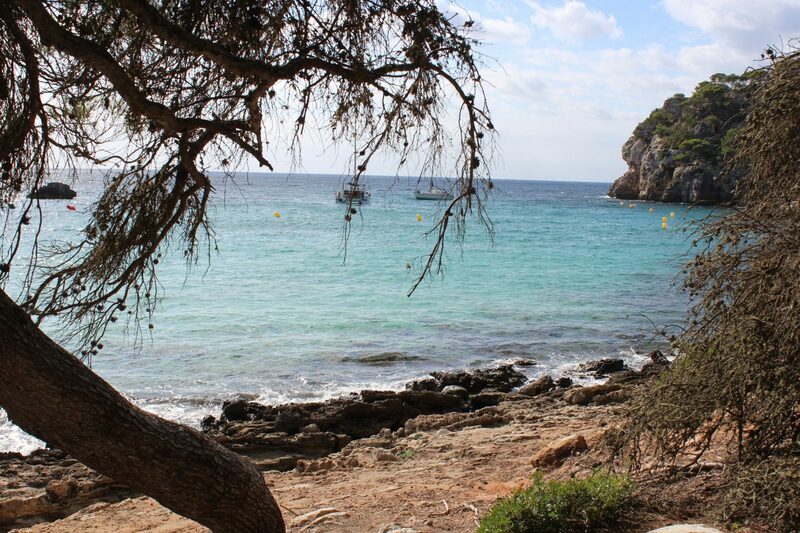 Cala Binidalí is a small cove near a village that goes by the same name. The beach has fine sand, clear blue water and a beautiful natural environment. We stopped only for taking pictures, as both kids were sleeping. I was really thinking of getting a house there. The views are spectacular. 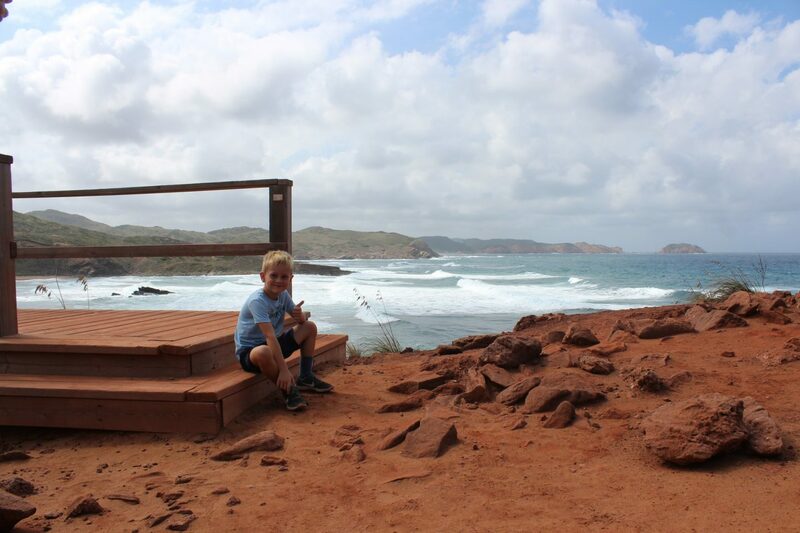 Punta Prima Beach, was our last stop in Menorca. As, we went there right before our flight back to Barcelona. 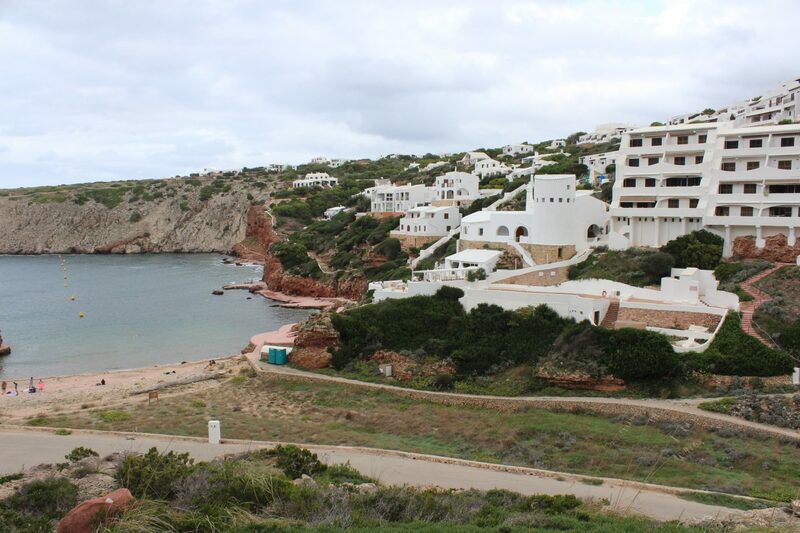 Punta Prima is located in the south east corner of Menorca and just 15 minutes away from the airport. Punta Prima has a couple of well stocked supermarkets selling everything you will need. We took our gifts from there. The beach of fine white sand has plenty of space for everyone. 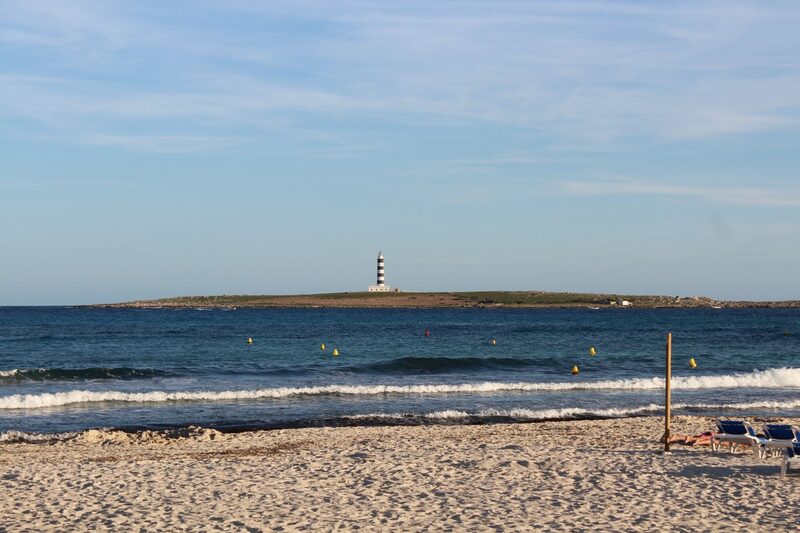 From Punta Prima Beach, you can easily see the Isla del Aire and it´s lighthouse. Spartan Race in Mallorca. Super Sprint experience. 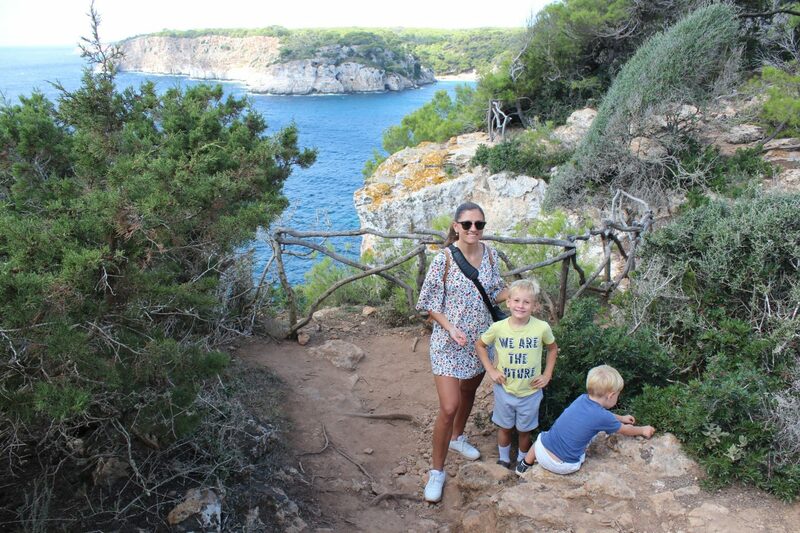 Previous Post Menorca with kids in 5 days. 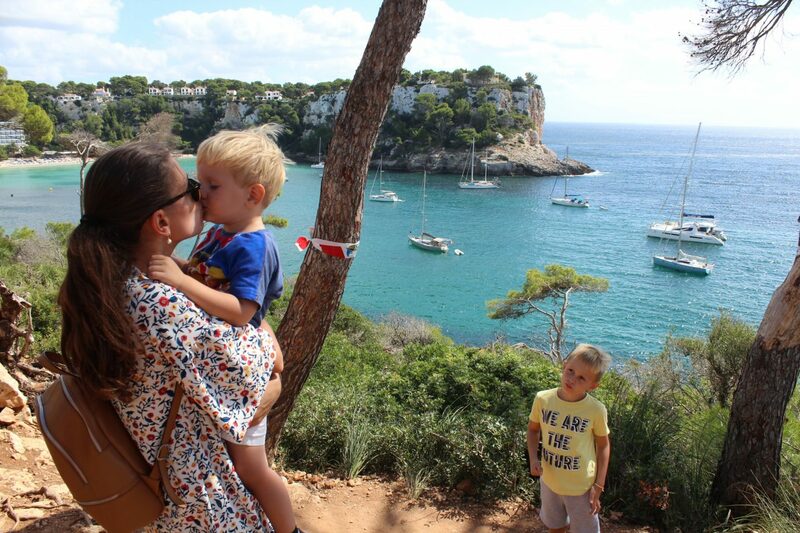 Family adventure to Balearic Islands. 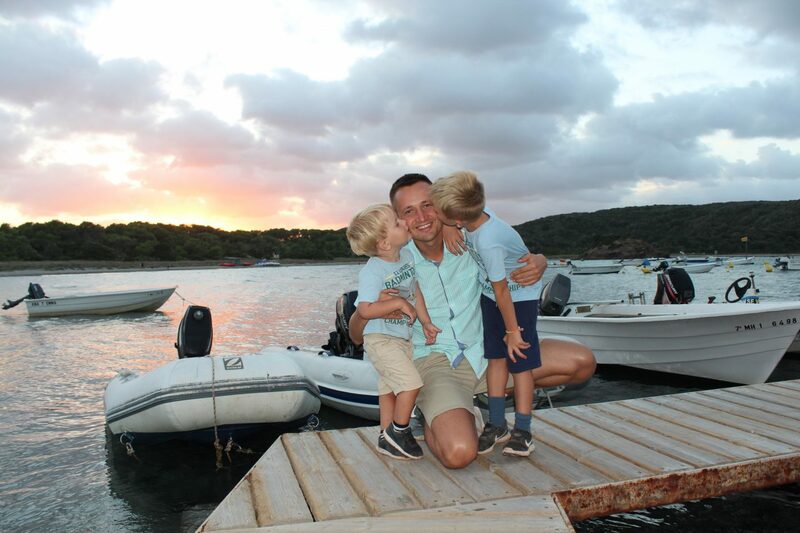 Next Post Top 3 places to watch sunset in Menorca. It was a marvelous experience. 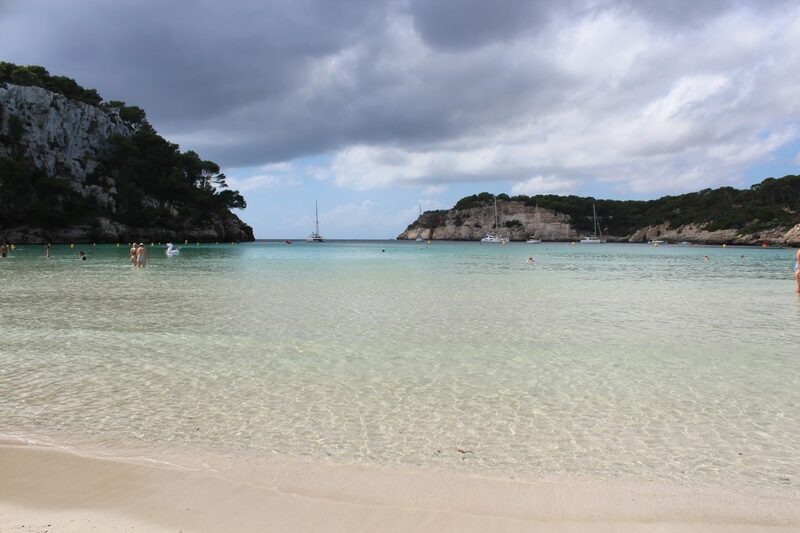 We enjoyed every single minute on the island discovering beautiful beaches of Menorca. 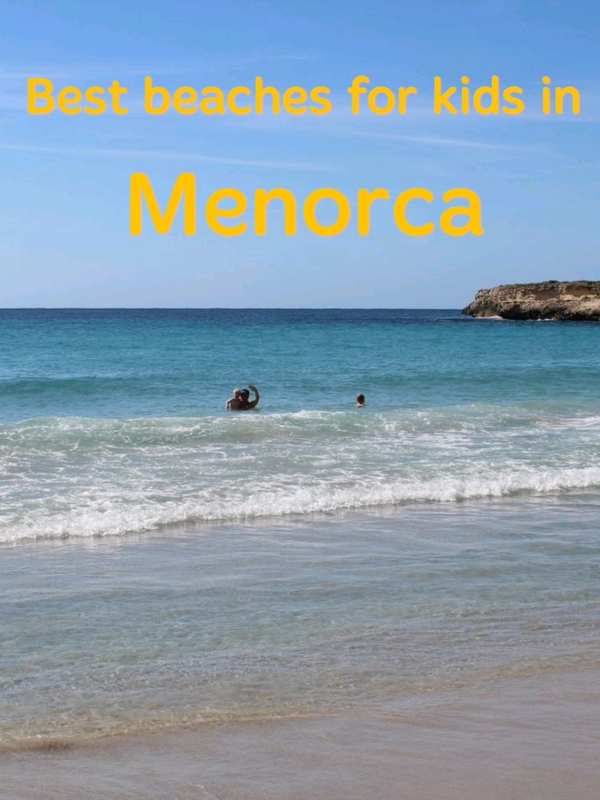 I had never even heard of Menorca before! Thank you for sharing all of this information about the island. It sounds like a great place to go on a family vacation! It is a perfect destination to enjoy as a couple or as a family. It is a blast of island. WOW this looks amazing. So beautiful and peaceful. 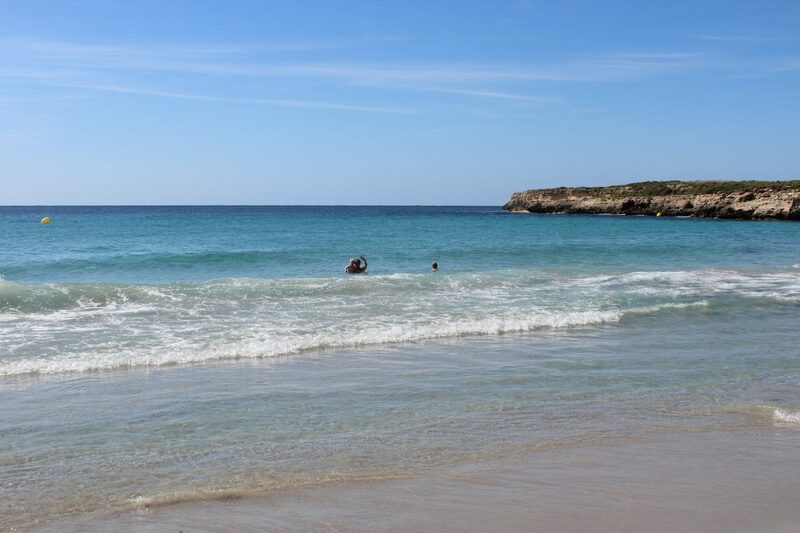 Menorca has very beautiful beaches indeed, and it is amazingly peaceful. I think this is because we went in September there. it was a great holidays in family indeed, thank you a lot. 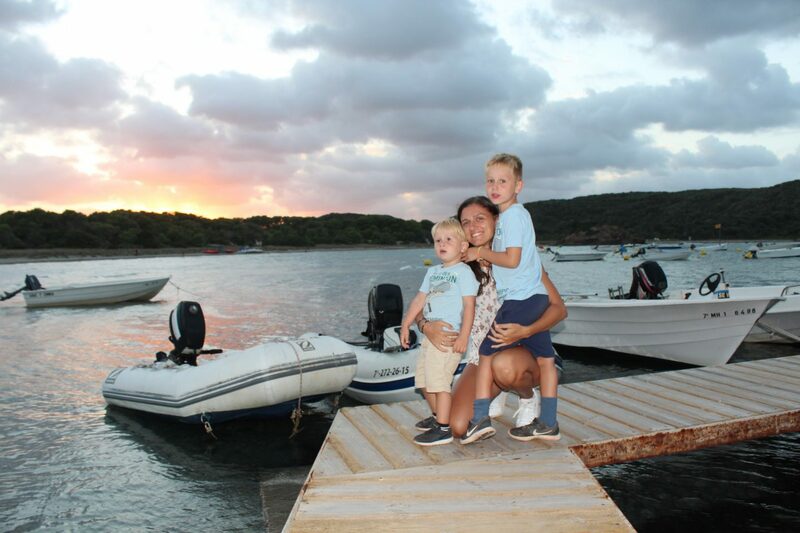 Menorca is a perfect destination to go with kids, or as a couple. Anyway it is a perfect beach destination.